D.C Door Holding Magnets for the HAHN CQLine are primarily used as hold open devices for fire protection. The fire door is normally held in the open position to allow easy passage and access through busy corridors etc. 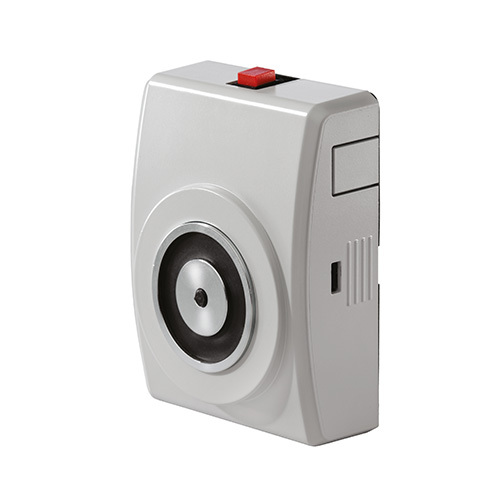 Controlled by a fire detection or smoke protection control unit, the door magnet releases the door when the power is cut and the door closer quickly closes the fire door automatically to prevent the spread of fire and smoke throughout the building. Integrated into the design is a spring loaded anti-remenance pin which ensures zero residual holding force when the magnet is de-energised, thus enabling faster closing of the fire door. Apart from the classic application door holding magnet can also be used as locking devices for standard, house or business doors – wherever a door needs to be kept open safely as a passageway. The stylish versions of the new CQSTAR line offer completely new design options for architects: the variable selection of colours and surfaces as well as the integrated LED-illumination are unique features in this respect. Magnetic locks are normally used at emergency areas for security doors. 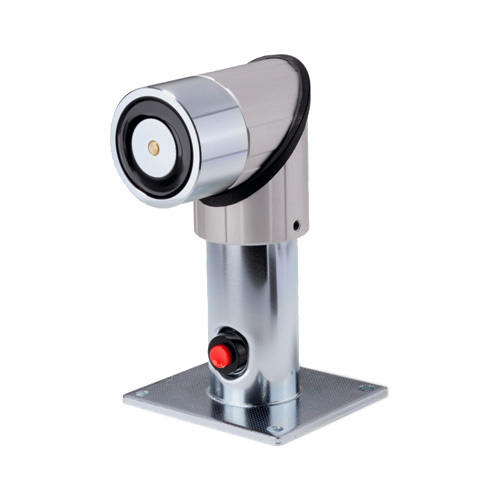 There the magnetic lock is the ideal solution. Compared to electric bolts or strikes it is much more installer friendly. For the locksmith wiring an electromagnet is as simple as connecting a Hifi and for the electrician a light drill and a srewdriver is sufficient to install it in a very professional way. 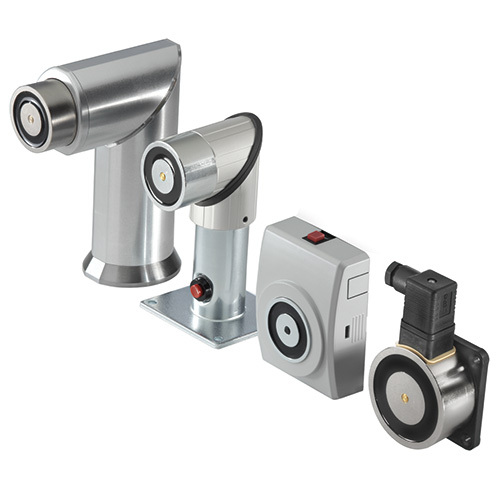 With our range from 800 N to 10600 N and our offered accessories it is a product, suitable for installation for all types of access control systems. An Integrated sensor and a LED shows directly and external the function of the lock, if the door is open our closed.